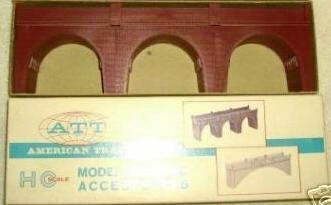 The ATT River Bridge measured 13 1/8" in length and was cast in a red brick color. The retail price was $2.98 for this kit. 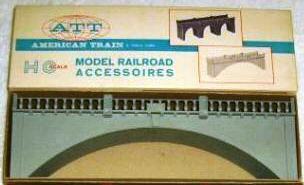 An ad from ATT in the January 1968 Railroad Model Craftsman magazine calls this kit the Island Station. The kit carried a $3.98 retail price. A multi-functional kit from ATT, the Station On A Curve is designed to handle either or both an 18" and 22" radius curve. If the kit is placed outside the curve, an 18" radius works; if the kit is placed inside the curve, then a 22" radius wraps around the kit. 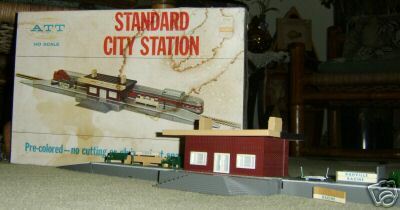 From end to end, the Station On A Curve measured 35 1/4" in length and sold for $4.98 in the late '60s. 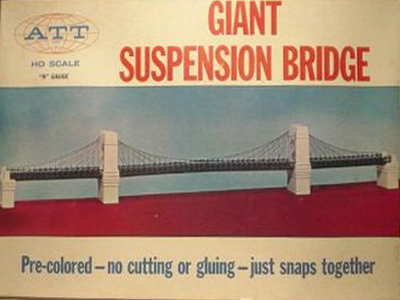 Here's an impressive offering from ATT's kit line, a 4'-6" long Suspension Bridge. 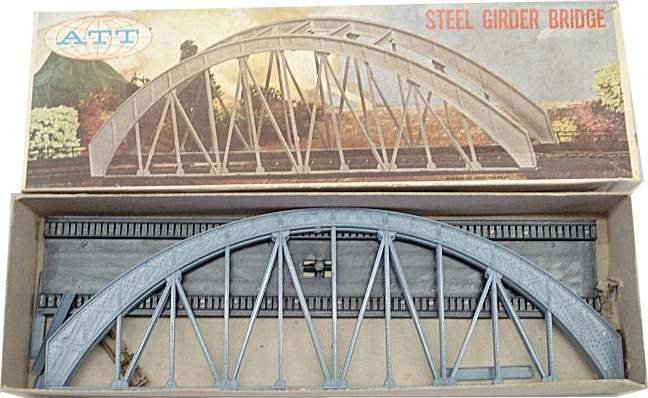 ATT noted that this bridge could handle a single track of HO-scale or double-track N-scale. 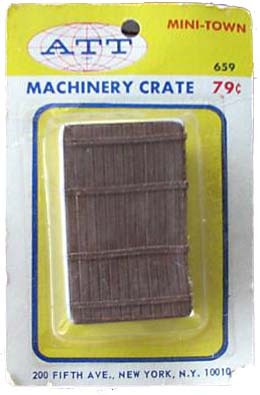 This snap together kit sold for $9.98 in the late 1960s. 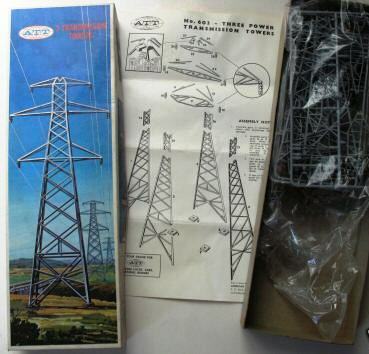 ATT's No.602L was a lighting kit for the Suspension Bridge. The lighting kit includes 24 grain-of-wheat bulbs strung on 12' of wire and sold for $4.98.